I read, with sadness, the interview of former Governor of Abia State, Chief Orji Uzor Kalu published in “The Guardian”, Sunday, May 31, 2009. My sadness arose from the fact that a character like Chief Orji Uzor Kalu is not in prison for the monumental damage he wrecked on Abia State . Like several Abians, I look forward to the day justice will catch up with this man. Chief Kalu is, most unfortunately, a practiced liar. 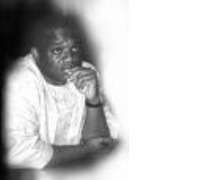 Regrettably, his lies have so much caught up with Nigerians that it is almost difficult to unveil the real Kalu. It was for this reason that many Abians applauded the damning appraisal of the character of Chief Kalu by Atiku earlier this year. I state, without hesitation, that Chief Kalu left Abia State in a state worse than he met it. He is the only former Governor who enjoys this singular distinction. I challenge people from other states to visit Aba and see for themselves. This is the reason that has made it impossible for him to come to Aba freely. When he attempted to do so in September 2008 satchets of water rained on his vehicle. Also, earlier in January 2008, during a crusade of Pastor Chris Oyakhilome at Enyimba Stadium Chief Kalu was booed when he came onto the podium. The greatest gift of Kalu is his ability to lie in the face of obvious facts to the contrary. Hence, he claims “he did” Ebem to Akanu Ohafia Road . I am from Ohafia. The lie is so obvious that I weep for my people. Chief Kalu is tasking the patience of the Ohafia man. That section of the road has been the waterloo of several people. Chief Kalu left this road to gulp blood of several Ohafia people and then turns round to claim that he “did it”. It is tragic. Chief Kalu had his degree at Abia State University , as he claims. Of course, he conveniently refused to say that it was while he was the Visitor to the University that he got his degree. He also did not tell his readers that his stay in University of Maiduguri had ceased about ten years before he attended Abia State University while being the Governor of Abia State. Of course, these two features made him a non-student, a fact he does not know even now. Finally, so often, Chief Kalu talks about his business empire. But it is all grandstanding. Kalu looted Abia State to set up what he has today. Talk of his shipping and Airline. What of his newspaper and banks across West Africa . All were established while he was the Governor of Abia State. His NEYA Resort was built while he was the Governor of Abia State. Chief Kalu talks of his house in Lagos . But NEYA Resort is a multi-billion Naira resort built while he was Governor. His houses at Igbere and Aba were quite ordinary. But now he has massive houses that demonstrate the extent of looting of the Abia treasury. That he chose to remain in the Lagos house is remarkable of the style of deceit he has perfected. Chief Kalu should know that lies have short life span. A man of his age, according to Atiku, should be grown up.